Join two of our amazing restaurants for Thanksgiving Dinner! 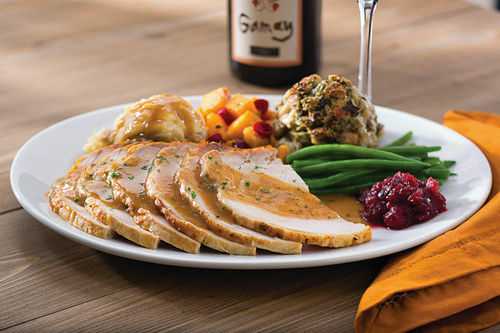 Join Seasons 52 for the most flavorful Thanksgiving dinner you'll never have to prepare! A preset meal ($28 for adults, $13 for children) will feature turkey raised on family farms and all the trimmings along with a pumpkin pie mini indulgence dessert. Reservations required, call now at 619-702-0052 or click here to see the menu and learn more. Join Eddie V's for a traditional Thanksgiving dinner with all the trimmings between 11am-8pm! Enjoy a preset Thanksgiving menu ($38 for adults, $15 for children) or choose from their full regular menu. Reservations are required, call now: 619-615-0281 or click here to see the menu, learn more and reserve a table.